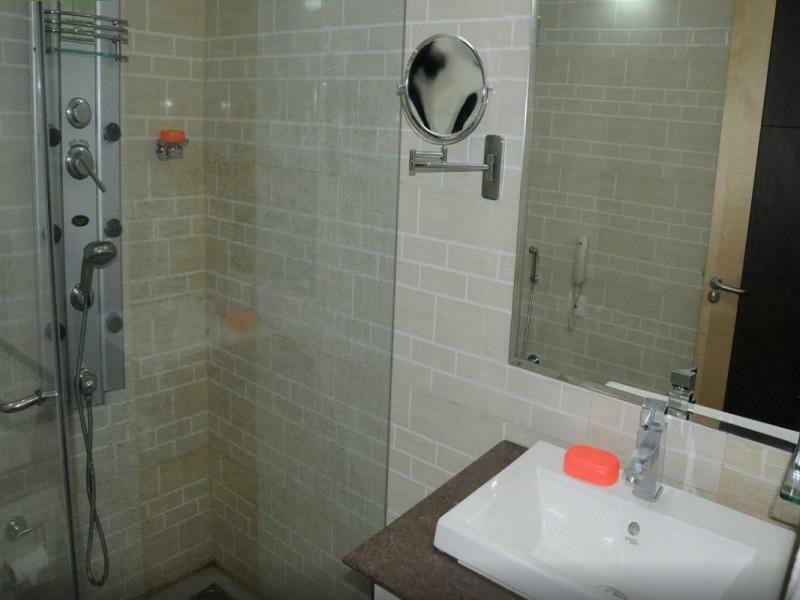 Ada pertanyaan untuk Meenal Boutique Hotel? Terletak di Pusat Kota Bengaluru, Meenal Boutique Hotel merupakan tempat yang sempurna untuk menikmati Bangalore dan sekitarnya. Terletak hanya 1 km dari kehebohan pusat kota, hotel bintang 3 ini memiliki lokasi yang bagus dan menyediakan akses ke obyek wisata terbesar di kota ini. Dengan lokasinya yang strategis, hotel ini menawarkan akses mudah ke destinasi yang wajib dikunjungi di kota ini. 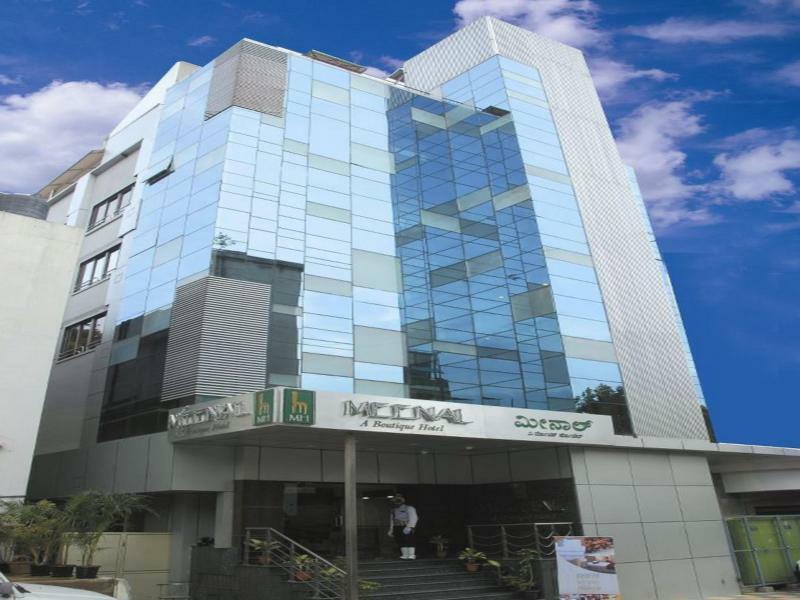 Meenal Boutique Hotel juga menawarkan berbagai fasilitas untuk memaksimalkan pengalaman menginap Anda di Bangalore. Para tamu hotel ini dapat menikmati fasilitas di tempat seperti layanan kamar 24 jam, WiFi gratis di semua kamar, satpam 24 jam, resepsionis 24 jam, Wi-fi di tempat umum. Semua akomodasi tamu dilengkapi dengan fasilitas yang telah dirancang dengan baik demi menjaga kenyamanan. Disamping itu, hotel memiliki berbagai pilihan fasilitas rekreasi yang menjamin Anda melakukan bermacam hal selama menginap. Fasilitas super dan lokasi yang istimewa menjadikan Meenal Boutique Hotel tempat yang sempurna untuk menikmati penginapan Anda selama di Bangalore. Stayed in a Deluxe Room for 5 Nights , The bathroom was very bad and always had wet floor similar to a pond due to non alignment of floor tiles. Hot water was not available even after complaining for days. May be they would have turned it off due u to less number in guests. Indian Breakfast was fresh and good with limited items. For these standards the rate paid was too high. I was pleasantly surprised being welcomed by the GM at the reception. I like the easy access road to this hotel and shops, restaurants and pubs nearby. It is almost like a home away from home. Keep it up. I found the staff very friendly and helpful. Good breakfast with wide choices. We booked two rooms of the same price but when we arrived there, one room was significantly smaller than the other one. The place was so small that if you stretched out your hands from the bed, you would touch the wall! It was so bad that my parents were claustrophobic and had to swap rooms with our co-travellers because the hotel refused to give us another room! They provided no explanation for why the room was so small and just said the place was fully booked. The place was really run down and badly maintained. The bedsheets had stains on them... totally disgusting! There were hundreds of little insects crawling on the walls of the bathroom and even got onto our clothes! Overall, a terrible experience! Hotel needs a revamp of their toilet. Maintenance of the Hotel room was poor. Breakfast variety needs to be improved. The hotel was really good & though I had booked only for one night initially, I stayed on for one more night. My family loved this hotel & the facilities, cleanliness was pretty good. The stay was very comfortable with nice clean rooms, Co-operative staff & good location. Definitely worth staying. Located near busy shopping area. Relatively clean compare to other Indian hotels. Just only a little unfriendly staff was the problem in this hotel. Everything else was just fine!! Breakfast was pretty nice, staff were helpful in resolving issues and helping out with questions.